Whether you have a start-up or an established firm, mobile app becomes a necessity for all. Basically, making your mobile app attractive is one of the key elements that compels users to embrace it. 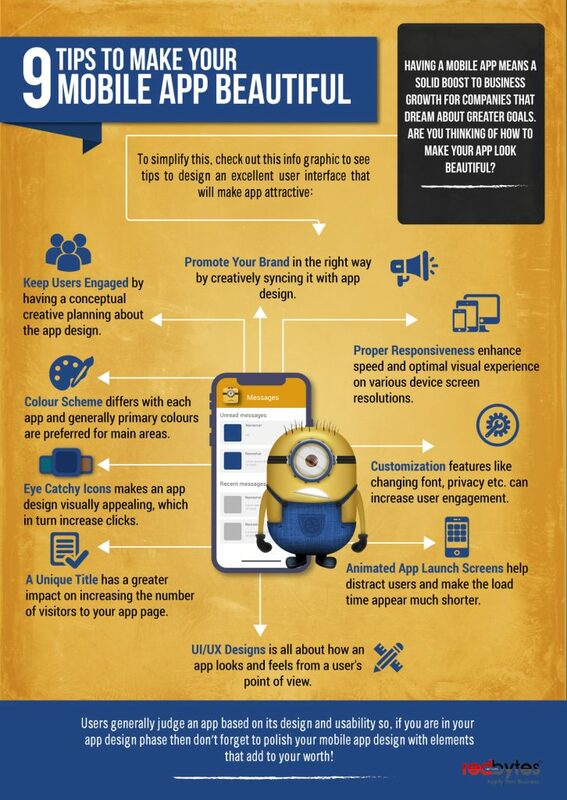 So what all you need to consider while designing an app to get a good look and feel? Right from the beginning you think of an app idea, be specific about your design and how you want your app to look like. As soon as the mock-up part of the app gets ready, allow the designing team to discuss with developers to understand the actual functions of the app, so that the designer will be able to focus on the elements that have needed to take the app beyond function and into an attractive form. Including features like attractive icons, unique title, informative image/videos, attractive animations, UI/UX interface etc. can make a simple app better and beautiful. Mobile app design is quite challenging but can offer big deals to your brand if you do it in the right way.